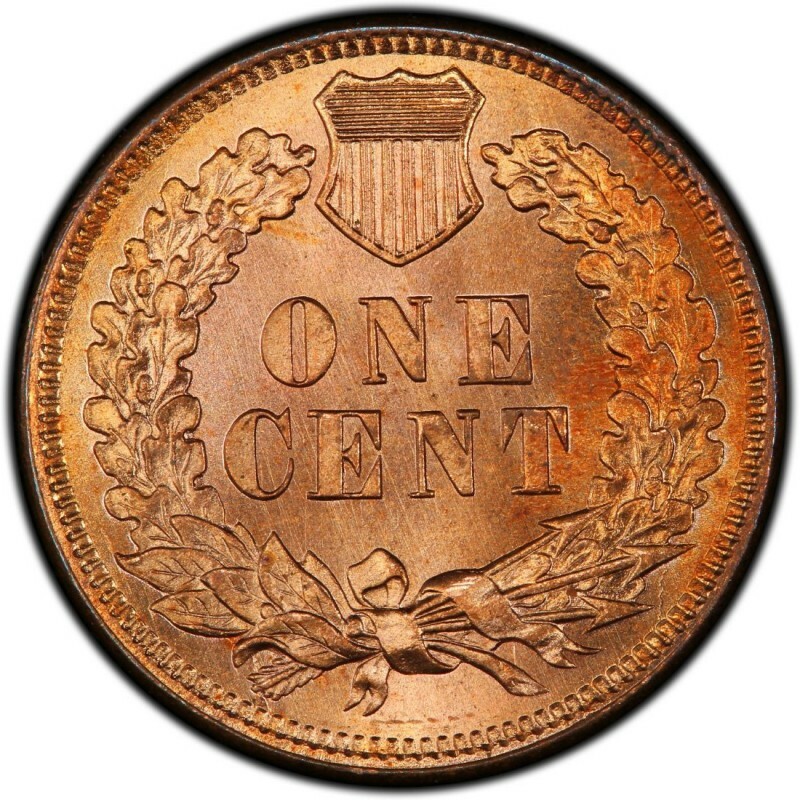 1878 Indian Head cents are scarcer than most issues from the 1880s, 1890s, and 1900s. Wholly original, uncleaned 1878 Indian Head pennies are exceptionally difficult to locate, but is the state most numismatists prefer. Of course, finding old copper coins without any corrosion or signs of cleaning is very difficult, and so is the case with pre-1880s Indian Head pennies. Thankfully, original 1878 pennies exist in decent, circulated condition and finding these should be possible with enough searching. 1878 pennies were struck in relatively small number. Only 5,799,850 were made, which is certainly higher than the figures in 1877 and the pennies from the early 1870s. However, only a small fraction of these coins exist today. For that reason, you should be patient in finding just the right one, which would be a piece that is free of damage and has no signs of a previous cleaning. A problem-free, Good-4 1878 Indian Head penny retails for around $30. Proof specimens, which are much scarcer as only 2,350 were made, are worth$1,375. The name “Indian Head” penny is actually incorrect, as the figure on this penny is actually that of Miss Liberty. 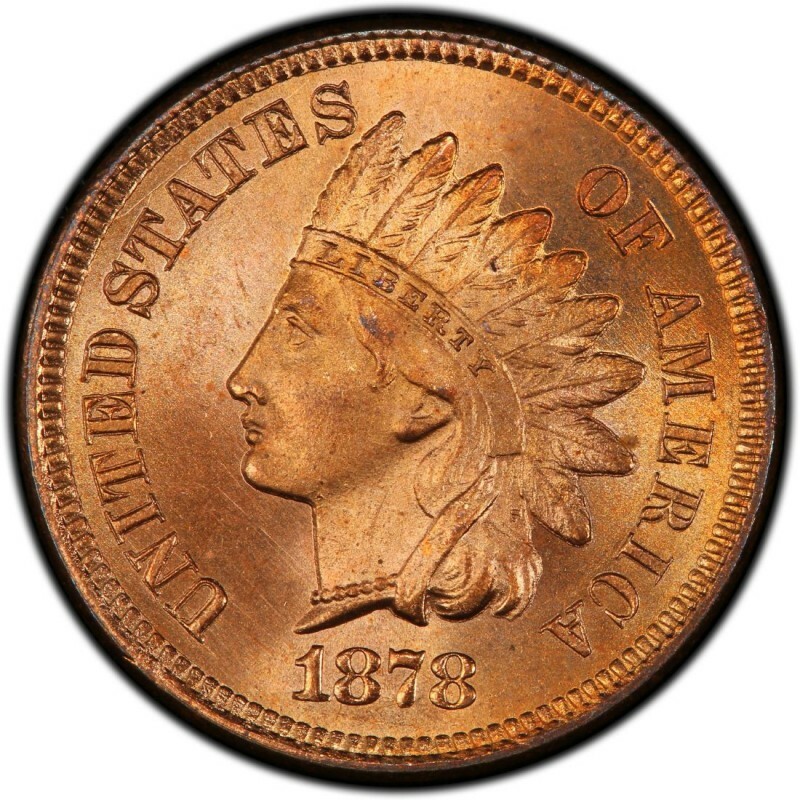 What’s more, the model for the Liberty bust on the 1878 Indian Head penny is the red-headed daughter of the coin’s designer, James B. Longacre. He was the Chief Engraver of the United States Mint from 1844 until his death in 1869 and also designed the two-cent piece, which has the distinction of being the first U.S. coin to bear the motto IN GOD WE TRUST.